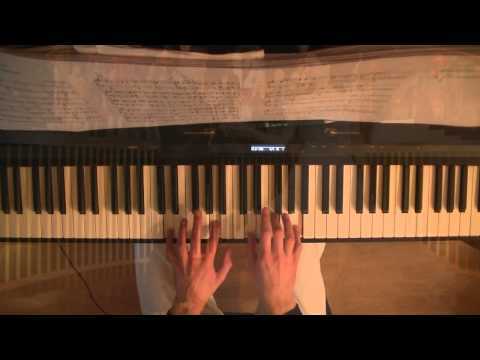 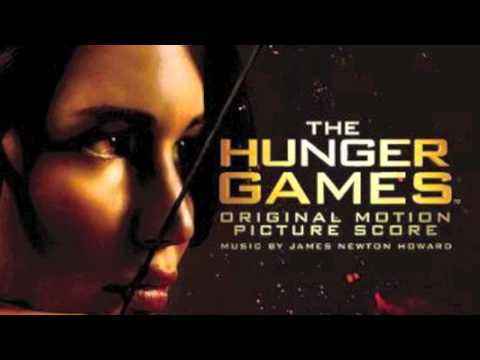 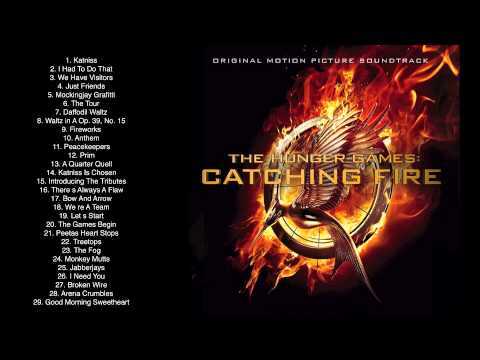 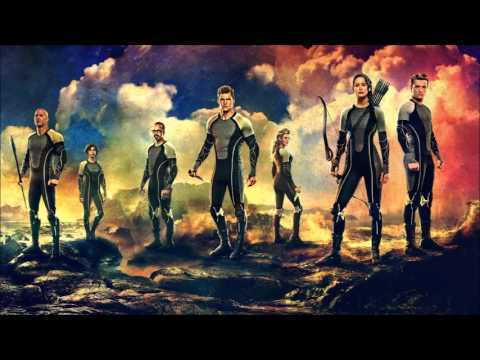 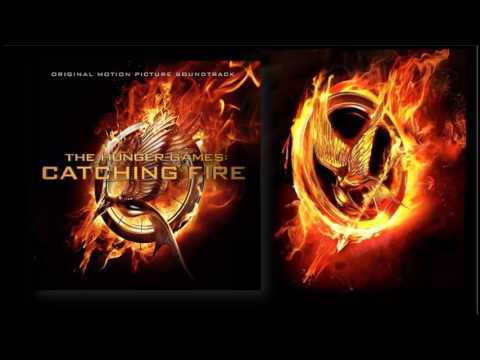 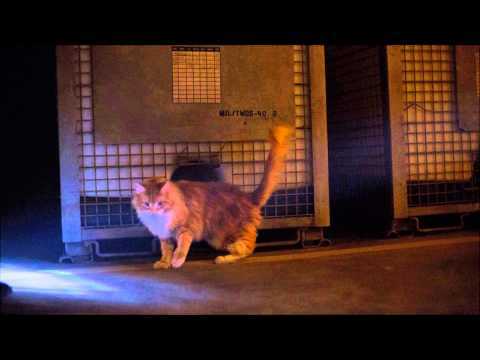 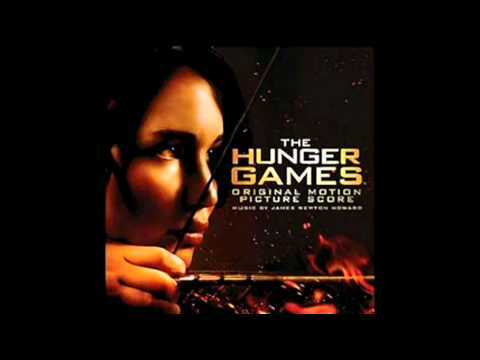 25 Jabberjays Catching Fire Official Score James Newton Howard....! 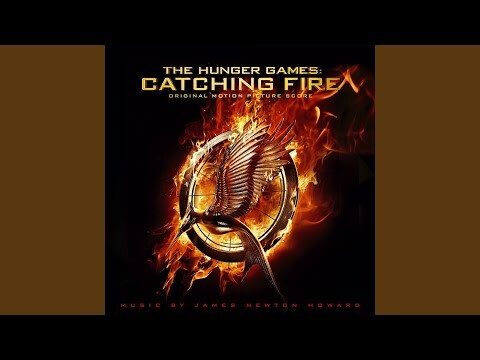 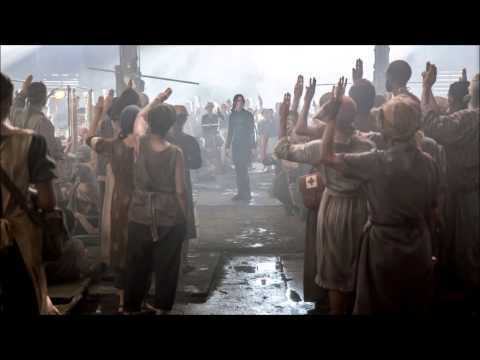 Provided to YouTube by Universal Music Group Jabberjays · James Newton Howard The Hunger Games: Catching Fire ℗ 2013 Lionsgate Entertainment Inc., Under exclusive license to Republic Records, a Division of UMG Recordings, Inc. 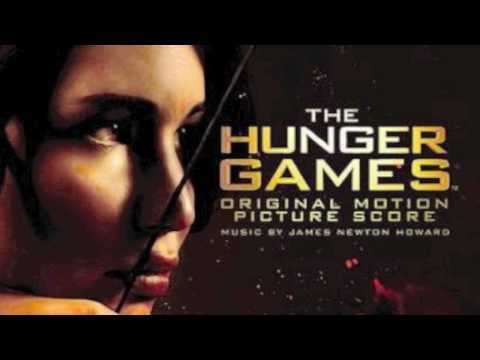 Released on: 2013-01-01 Producer: James Newton Howard Producer, Co- Producer, Studio Personnel, Sound Editor: Jim Weidman Producer, Co- Producer, Associated Performer, Synthesizer Programming: Sven Faulconer Producer, Co- Producer, Associated Performer, Synthesizer Programming, Additional Vocals: Sunna Wehrmeijer Studio Personnel, Recording Engineer: Shawn Murphy Associated Performer, Conductor/ Piano, Orchestra/ Member: Pete Anthony Studio Personnel, Sound Editor: David Olson Associated Performer, Orchestra/ Member: Jeff Atmajian Associated Performer, Orchestra/ Member: Jon Kull Associated Performer, Orchestra/ Member: John Ashton Thomas Associated Performer, Orchestra/ Member: Peter Bateman Associated Performer, Synthesizer Programming: Dave Porter Associated Performer, Synthesizer Programming: Christopher Wray Unknown, Other: Terry Edwards Unknown, Other: Ben Parry Associated Performer, Orchestra Leader, Violin: Thomas Bowes Associated Performer, Cello: Josephine Knight Associated Performer, Fiddle, Violin: Sonia Slany Associated Performer, Guitar: John Parricelli Associated Performer, Dulcimer: Jon Banks Associated Performer, Flute: Jan Hendrickse Associated Performer, Orchestra Contractor: Isobel Griffiths Associated Performer, Orchestra Contractor: Jo Buckley Unknown, Other: Chris Cozens Unknown, Other: Richard Grant Studio Personnel, Mix Engineer: Erik Swanson Studio Personnel, Editor: David Channing Studio Personnel, Mix Engineer: Matt Ward Studio Personnel, Editor: Pamela Sollie Associated Performer, Violin: Roger Garland Associated Performer, Violin: Everton Nelson Associated Performer, Violin: Cathy Thompson Associated Performer, Violin: Steve Morris Associated Performer, Violin: Patrick Kiernan Associated Performer, Violin: Warren Zelinski Associated Performer, Violin: Chris Tombling Associated Performer, Violin: Philippe Honoré Associated Performer, Violin: Debbie Widdup Associated Performer, Violin: Philippa Ibbotson Associated Performer, Violin: Lorraine McAslan Associated Performer, Violin: Jonathan Strange Associated Performer, Violin: Robin Brightman Associated Performer, Violin: Julian Tear Associated Performer, Violin: Gaby Lester Associated Performer, Violin: Boguslaw Kostecki Associated Performer, Violin: Liz Edwards Associated Performer, Violin: Jonathan Rees Associated Performer, Violin: Julian Leaper Associated Performer, Violin: Perry Montague-Mason Associated Performer, Violin: Emlyn Singleton Associated Performer, Violin: Rita Manning Associated Performer, Violin: Mark Berrow Associated Performer, Violin: Ralph De Souza Associated Performer, Violin: Debbie Preece Associated Performer, Violin: Tom Pigott-Smith Associated Performer, Violin: Kathy Gowers Associated Performer, Violin: Clare Thompson Associated Performer, Violin: Natalia Bonner Associated Performer, Violin: Sophie Langdon Associated Performer, Violin: Ian Humphries Associated Performer, Viola: Vicci Wardman Associated Performer, Viola: Rachel Bolt Associated Performer, Viola: Kate Musker Associated Performer, Viola: Steve Wright Associated Performer, Viola: Fiona Bonds Associated Performer, Viola: Martin Humbey Associated Performer, Viola: Edward Vanderspar Associated Performer, Viola: Claire Finnimore Associated Performer, Viola: Richard Cookson Associated Performer, Viola: Bruce White Associated Performer, Viola: Phil D'arcy Associated Performer, Viola: Peter Lale Associated Performer, Viola: Julia Knight Associated Performer, Viola: Andy Parker Associated Performer, Viola: Helen Kamminga Associated Performer, Viola: Reiad Chibah Associated Performer, Viola: Garfield Jackson Associated Performer, Viola: Bob Smissen Associated Performer, Viola: Rusen Gunes Associated Performer, Viola: Don McVay Associated Performer, Viola: Sue Dench Associated Performer, Viola: Bill Hawkes Associated Performer, Cello: Dave Daniels Associated Performer, Cello: Paul Kegg Associated Performer, Cello: Jonathan Williams Associated Performer, Cello: Chris Worsey Associated Performer, Cello: Nick Cooper Associated Performer, Cello: Melissa Phelps Associated Performer, Cello: Martin Loveday Associated Performer, Cello: Ian Burdge Associated Performer, Cello: Frank Schaefer Associated Performer, Cello: Anthony Lewis Associated Performer, Cello: John Heley Associated Performer, Cello: Caroline Dearnley Associated Performer, Cello: Joely Koos Associated Performer, Bass Viol: Mary Scully Associated Performer, Bass Viol: Steve Mair Associated Performer, Bass Viol: Steve McManus Associated Performer, Bass Viol: Richard Pryce Associated Performer, Bass ... Auto-generated by YouTube.